KB Building Services (KB) provides commercial janitorial services to the Nebraska and Iowa areas. Although we are part of the janitorial industry, KB is a world class customer service organization. This is due to our strong commitment to internal training and employee paths to leadership, as well as exceptional service delivery and customer response times. KB’s strong creation and adherence to internal processes and procedures allow for employees to go above and beyond. KB’s dedication to differentiating our internal culture allows us to provide an unprecedented level of service externally to our customers. Trust Us, It’s Clean. Values: KB Building Services strives to live by core values because we know how each one affects your life. 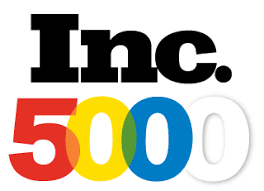 Consistent: You spend approximately 2,080 hours a year in your office. You work on a schedule; you need consistency to maintain a balanced work and home life. Dependable: You have a job to do. You rely on us to do the cleaning and to do it right. You should not have to worry about anything going wrong in your facility. It is not always our fault, but it is our problem. Proactive Communication: You cannot plan for an unexpected situation. The best line of defense is being proactive in stopping a bad situation from getting worse. You are not always there to witness the potential disaster, but our team knows the easiest and most important thing we can do is report any situation before it becomes a disaster. Do What You Say: At the end of the day, the one thing you want is a partner that does what they say they will do. Nothing is more frustrating than being over-promised and under-delivered. The KB Academy is our initial training program that all team members, including the office team, must complete. 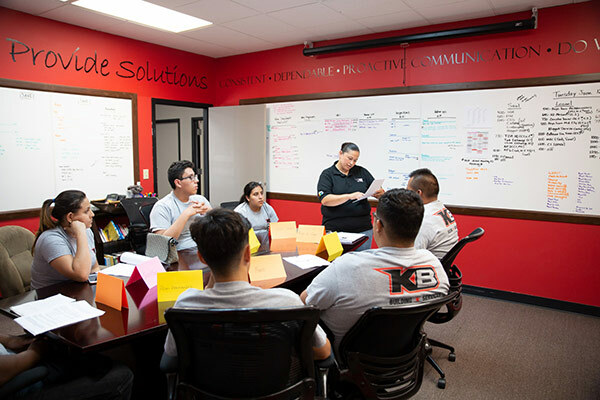 Through extensive curriculum, onboarding team members learn everything needed to know about KB’s services, products, policies and procedures and culture. Below are some important pieces of KBA. As a core value driven company, it is important that our entire team aligns with our mission, vision and values (MVV). During KBA, team members are taught about each piece of our MVV. It is imperative they understand how to align MVV with their daily work to ensure we provide our Partners with exceptional service. Even though our field team members do not have direct contact with our partners, it is important they understand our internal policies such as attendance, expectations, properly punching in and out and their role in their facility. We also make it a point to teach them how the business puzzle fits together and what happens when a piece is missing. In our line of business there are many situations that arise that could result in an accident. It is our job as an office team to ensure our team members in the field are set up for success. One way we do this is by teaching them various safety precautions such as accident prevention, blood borne pathogens, and slips, trips and falls. Depending upon customer expectations, our team members utilize various pieces of equipment. We teach them how to properly use, clean and maintain all equipment they will regularly use in their facility. Chemicals are necessary in order to properly clean and maintain a building. Chemicals can range from environmentally friendly to hazardous. We train our team members how to properly dilute chemicals, acceptable uses for each chemical, the potential dangers associated with each chemical and how to handle an emergency situation involving chemicals. KB follows Diversey’s healthy high performance cleaning (HHPC) process. This process is standardized throughout our entire company, which ensures all of our team members have streamlined expectations no matter which facility they are working in. We also keep information on facility-specific items that are taught to each individual crew. In order to graduate from New Hire KBA, each employee is required to successfully complete a written exam and hands-on testing. This ensures they understand expectations and are prepared to complete all cleaning duties up to KB standards. KB also has a few requirements that potential employees must meet/adhere to in order to be a part of the KB team. If working during the day, the employee is required to speak English fluently because they interact with our partner’s. KB also E-Verify’s every employee, so each employee must pass E-Verify in order to be employed by KB Building Services. E-Verifying employees is uncommon in the janitorial industry, but KB views this as a necessary process. We must trust our employees to be in buildings, sometimes alone, and trust begins with ensuring you are who you say you are. In order to live our mission and vision, KB Building Services believes development further than basic training is important. As a growing company, we have a continuous thirst for learning that we want to pass to our team. We give both field and office team members opportunities to grow in their positions. KB provides specialized training in servicing facilities during normal business hours. This includes lobbies, commons areas, restroom touch ups and direct communication with our partners. This specialized training provides team members in the field with techniques and processes on supervision and leadership of crew members in assigned facility. Our hard floor and carpet teams receive specialized training by experts in carpet cleaning and hard floor maintenance.This technical training teaches best practices in maintenance of multiple types of flooring surfaces. The safety committee meets on a monthly basis and any interested KB team member can be a part of the group. Being a part of the committee gives each team member an opportunity to receive specialized training on many safety topics outside of the KBA training. The safety committee also discusses ways to update and improve the safety plans and practices at KB. In order to become a Day Maker or Building Lead team members must be fluent in English. 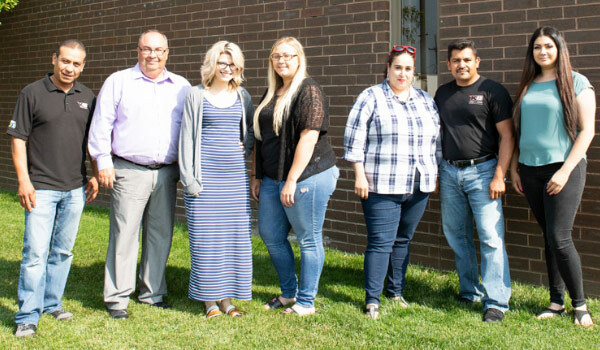 By giving our Spanish speaking team members the opportunity to learn English we are inspiring them to advance in their career path. Any team member that has a desire to learn English can enroll in the class. Any team member is encouraged to attend learning events or seminars that interest them. Internal events, such as leadership lunch and learns, are offered on a quarterly basis. Any external seminars, such as classes offered by our vendors, can also be attended. This specialized training is to learn and improve management and leadership skills when working with 50+ employees on a nightly basis. Personal growth is important to create a more meaningful career. All office team members are given the opportunity to attend coaching in order to learn ways to better themselves, whether it be personal, career or leadership. Some positions require close working relationships with other team members. In order to prepare our team members for successful relationships, we offer team coaching. This experience allows the team members to work together outside of the office with a professional to learn about each other and ways to work best as a team. Each year, the executive management team members take a trip to Las Vegas to meet with a hired facilitator to develop a strategic plan for the upcoming year. The annual strategic plan is broken into top five priorities that become the focus for office team members that year. In the name of all things distracting, DJ is shiny, sparkly, glittery SQUIRREL! 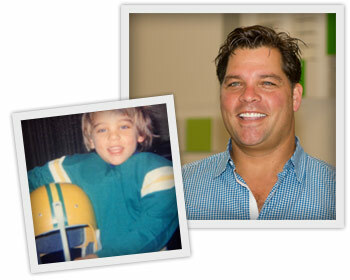 As the owner of KB Building Services, DJ is everything except traditional. In his philosophical ways, DJ empowers all of his employees to make things happen. He provides ideas and input and lets everyone else do their thing. When asked to describe his responsibilities, DJ said, “Get out of the way of super star, core-valued, KB rockstars!” In DJ’s 18 years at KB, he has revolutionized the culture and hand-selected a great team. DJ’s favorite part of his job is simply leading focused people that care a lot about the team. He also enjoys the high school summer baseball league that KB sponsors and the annual strategic planning trip to Vegas. DJ’s best memory at KB is ‘the grave’. The grave sits in front of the KB office. There are no physical bodies in the grave, just old friends that weren’t cut out for the KB culture. Prior to KB, DJ was in the “pizza and beer” business. DJ is a graduate of the University of Nebraska Lincoln with a Bachelor’s degree in Speech Communication. On the home front, DJ married his high school sweetheart, Lisa. Together they have two sets of twins, and one spitfire of a three year old – Vince. That is one girl and four boys for a grand total of five mini DJs. DJ likes to describe himself as funny, charming and incredibly witty. He also prides himself on his high school baseball records. DJ is a Sagittarius. It is no surprise that a Sagittarius must channel their energy or else they will try to go many directions at once. DJ has a lot of spontaneous thoughts and ideas. He is also described as philosophical, theoretical, inspirational and in love with ideas. He works best at seeing the big picture and leading the way. Channing refers to herself as the Chief Xperience Officer, we like to think of her as the Commander in Chief. She is the glue that holds KB together and keeps things flowing. Channing oversees all things KB and spends a lot of her time outside of the office building relationships with our partners. Before coming to KB, Channing spent six years at the Omni Hotels reservation center. She received a Bachelor of Science in Business Administration, concentration in Management, from the University of Nebraska at Omaha in May 2009. 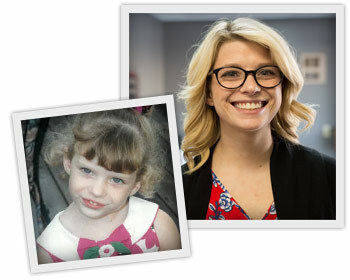 She joined KB right out of college and has been part of the KB team for the past eight years. 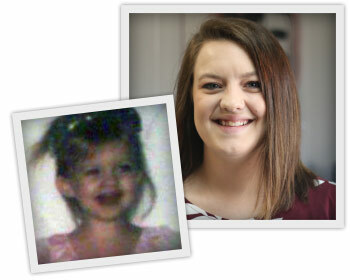 Throughout Channing’s time at KB she has implemented many changes. She created a new organizational chart and built the amazing company culture to what it is now. Channing enjoys working with excellent team members and building relationships. She also loves KB’s ability to grow and “play big”. Her favorite part of KB is the company culture and the world class customer service we provide. Channing is also a graduate of the Omaha Chamber of Commerce’s Leadership Omaha program, Class 38, best AND most newsworthy class ever! The name Channing actually comes from a soap opera. Aside from being a famous daytime television star, Channing is a spelling bee champion; that is she can spot a spelling error a mile away. In contrast, she will never get a license for riding a bicycle. Channing was born a Capricorn. It comes as no surprise to see her described as: serious, determined, disciplined and focused. As a Capricorn, she loves to maintain stability and order, and is organized with a step-by-step plan for achieving all goals. Naturally, she is a businesswoman and strives to create a “perfect” society. Henrietta, we like to call her Hen, is a resident prodigy. 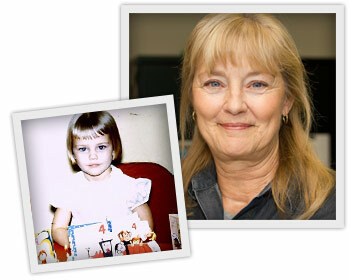 Not only is Hen one of the KB founders, she will be celebrating 30 years of serving others exceptionally well in 2014! As the Finance Coordinator, Hen takes care of payroll and all other financial functions. Before founding KB, Hen was an aerobics instructor and saleswoman. She is married and has one son, Tyler. Being with a company as long as Hen has means she has experienced a lot and in her case that means EVERYTHING! Hen’s favorite thing about KB is being able to watch, grow, and experience so many changes over the years. In the office, Hen loves how the team helps each other out and religiously follows the core values: consistent, dependable, proactive communication and do what you say. One of the funniest memories Hen has at KB is when she fell into a construction hole at night and had no idea how to get out of it. Outside of her KB duties, Hen takes a yearly motorcycle trip. Oh, and did we mention the ‘B’ in KB comes from Hen’s last name? Talk about being part of the KB team! We would only be ‘K’ without her. Hen is a Scorpio. This means she is bold, determined, and has unshakable focus. She is capable of taking on big projects with control and confidence and she can surpass any obstacle that comes her way! Autumn’s outgoing nature and positive attitude certainly make her a great asset to the Employee Relations department. In 2017, Autumn was promoted to Employee Concierge, which means she handles employee interviews, hiring and placing both new hires & substitutes, and monitoring field employee attendance. In addition to those duties, she also works directly with the First Impressionist on clerical items, so it should be no surprise that her high level of motivation is a necessity! KB is proud of how Autumn has excelled past what was ever imagined by taking on more and more responsibilities. She worked at Selectel in the outbound call center before being welcomed to KB in September of 2015. In fact, Autumn says her favorite thing about KB is how everyone is always welcoming. Coordination is a talent Autumn honed at an early age. In her childhood, she visited Skateland every weekend! Scorpio legend says what is most important to someone born on November 20 is family or those they love. That makes for two very lucky children (Autumn’s, of course) named Jose and Brian. Stephanie joins our team with an extensive background in both customer service and marketing. As the newest Customer Concierge at KB, she will focus on building relationships with our partners and completing quality assurance walkthroughs at the facilities that we service. 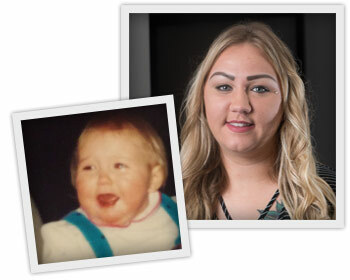 Stephanie comes to us from InfoGroup, having worked as an account executive for multiple years. She is also a major foodie, loving to cook, bake and eat in general. She will be the one you always see with a smile on her face, especially if snacks are nearby! Stephanie is what we like to call an “animal connoisseur”. She can spot an animal from a mile away; even animals none of her fellow office employees have ever even heard of! It is only fitting that her favorite childhood memory is picking out her first family dog at the humane society. Stephanie is an Aries. She is highly responsible and empathetic toward others. Her friends will be the first to tell you that she’s constantly looked at as the “mom” of the group, even at her young age. She is always highly prepared for anything to happen and driven to accomplish all of her goals. In late 2018, we were lucky enough to welcome Randi to the KB team. 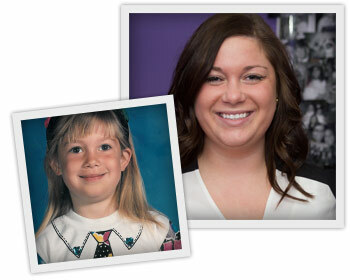 Randi comes to us from the massage therapy industry, having spent her entire career thus far helping people. She is a compassionate and fun loving person who loves being part of a team that motivates each other to make every day a great one. Randi joins KB as a Customer Concierge, where she will focus on building relationships with our partners and completing quality control walkthroughs at KB serviced facilities. Back in her youth, Randi didn’t exactly do a great job holding herself accountable. Her mother always tells the story about how at age 3, she frequently fell while walking and immediately would place blame on her dad for pushing her, even though her dad was nowhere near her. To this day, she has no clue why she did that, but we can definitely say she is much better at taking accountability for her own actions in her adult life! If asked, we would describe Randi as organized, self-motivated and resilient, so it came as no surprise to us that Randi is a Virgo. She is a multi-tasker that is very kind and hardworking. She pays attention to even the smallest of details and has a very big heart, which makes her a great fit for working with others. At KB Building Services, we recognize the value a clean facility can bring to its environment, employees and overall productivity. Cleaning is an investment in human health, as well as an improved bottom line. It is always our goal to be a great partner in ensuring your facilities are up kept and presented as an extension of your company. A clean facility is more valuable to your business than you may actually realize.